WYLIE, Samuel Brown, clergyman, son of Adam and Margaret (Brown) Wylie, born in Moylarg, County Antrim, Ireland, May 21, 1773; died in Philadelphia, Pennsylvania, 14 October, 1852. He was graduated at the University of Glasgow in 1797, and taught for a short time in Ballymena, Ireland, but was compelled to leave the country in consequence of his efforts in favor of Irish independence. He arrived in the United States in October, 1797. taught in Cheltenham, Pennsylvania, and in 1798 became a tutor in the University of Pennsylvania, subsequently establishing a private academy in Philadelphia, which he successfully conducted for many years. Soon after his arrival in this country he studied theology under the care of the Reformed Presbyterian church, and was licensed to preach in 1799. He was a delegate to the convention of the Reformed Presbyterian church in Ireland and Scotland in 1802, and on his return was called to the pastorate of the 1st Reformed Presbyterian church of Philadelphia, which he held until his death, a period of fifty-one years. When the theological seminary of his church was organized in 1809, he became a professor there, and held office till 1851. In 1828-’45 he occupied the chair of languages in the University of Pennsylvania, of which he was vice-provost in 1838-’45. Dickinson gave him the degree of D. D. in 1816. 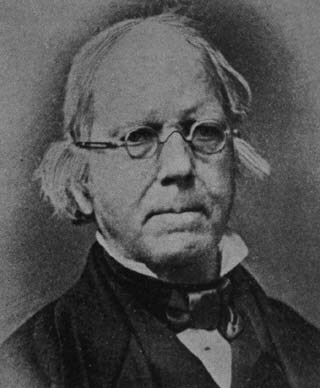 Dr. Wylie was an eminent classical and Oriental scholar, a contributor to the American philosophical society, an assistant editor of the “Presbyterian ” in 1821-‘2, and the author of “The Faithful Ministry of Magistracy and Ministry upon a Scriptural Basis” (Philadelphia, 1804), and ” Life of Alexander McLeod” (1855). He also compiled a Greek grammar (1838). See memoirs of him by Reverend John D. McLeod (New York, 1852), and Reverend Gilbert McMaster (Philadelphia, 1852). He married Margaret,daughter of Andrew Watson of Pittsburg, originally from Scotland. –His son, Theophilus Adam [Wylie], educator, born in Philadelphia, Pennsylvania, 8 October, 1810, was graduated at the University of Pennsylvania in 1830, and became an assistant in the academic department of that institution. In 1837 he accepted the chair of natural philosophy and chemistry in Indiana university, and in 1852 he became professor of mathematics in Miami University, but three years later he returned to his former post. He was transferred to the chair of ancient languages in 1864, and during 1859 was acting president of the university. In 1886 he withdrew from active work and was made professor emeritus. Professor Wylie was ordained as a clergyman in the Reformed Presbyterian church in 1838, and was pastor of that church in Bloomington, Indiana, in 1838-’52 and 1855-’69. He has in preparation a ” History of the University of Indiana,” with sketches of the faculty and graduates. –Another son, Theodore William John [Wylie], clergyman, born in Philadelphia., 3 October, 1818, was graduated at the University of Pennsylvania in 1836, studied theology, was ordained to the ministry of the Reformed Presbyterian church, mid in 1838 became associate pastor with his father of the 1st church in Philadelphia. When the latter (died in 1852, the son succeeded him as pastor. He was corresponding secretary of the board of missions of his church in 1843-‘9, professor in the Reformed Presbyterian theological seminary in 1847-’51, 1854-‘7, and 1859-’69, and edited the “Missionary Advocate” in 1838-’41 and the “Banner of the Covenant” in 1845-’55. The University of New York gave him the degree of D. D. In 1859. Dr. Wylie is the author of an “English, Latin, and Greek Vocabulary” (Philadelphia, 1839); “The God of our Fathers” (1854); and “Washington as a Christian” (1862). Dr. Wylie died in Philadelphia, October 13, 1852. Wilson, James Grant & John Fiske, eds. Appletons’ Cyclopædia of American Biography , D. Appleton. NEW YORK 1888-1889. WYLIE, THEOPHILUS A. Diaries of Theophilus A. Wylie, 1832-92 . Transcribed by Elizabeth M. Greene. Bloomington, IN: Department of Chemistry, Indiana University, 1987.